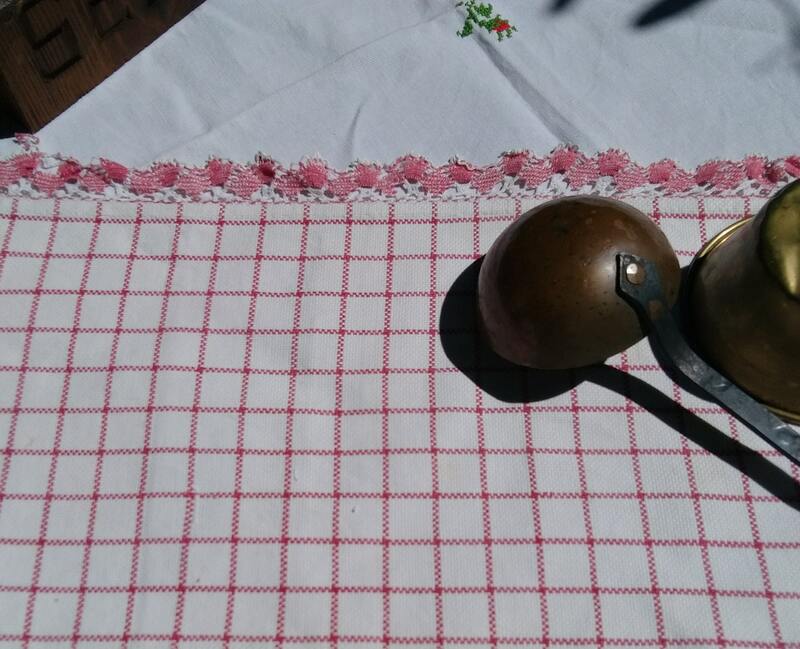 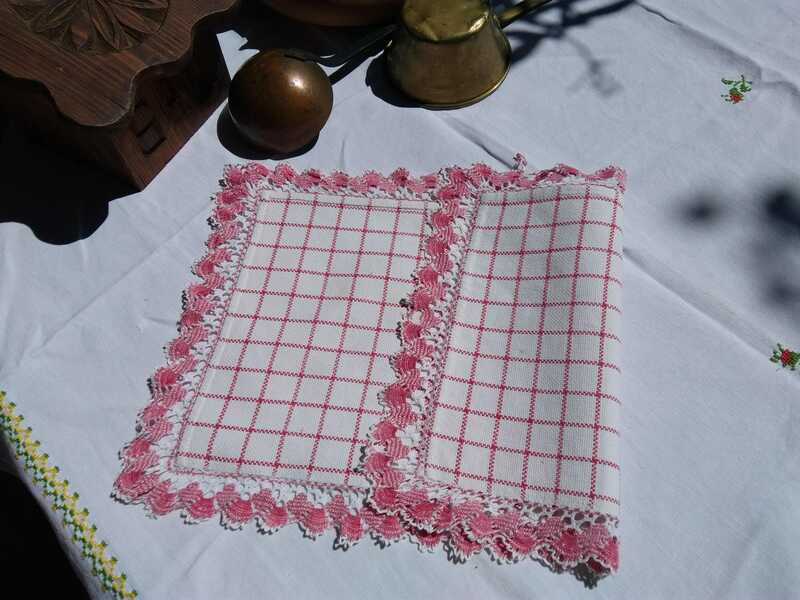 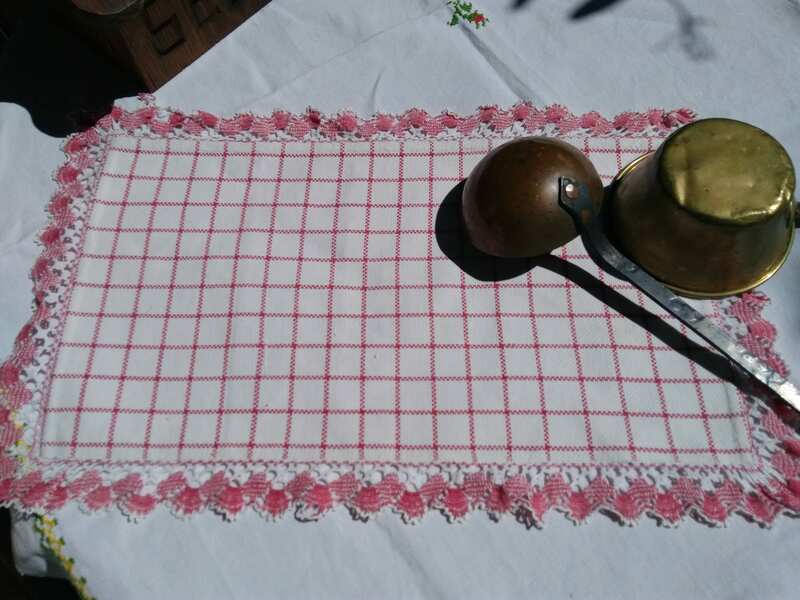 Original Rustic French Country side Handmade Gingham Place Mat or Table Center Lace Trimmed. 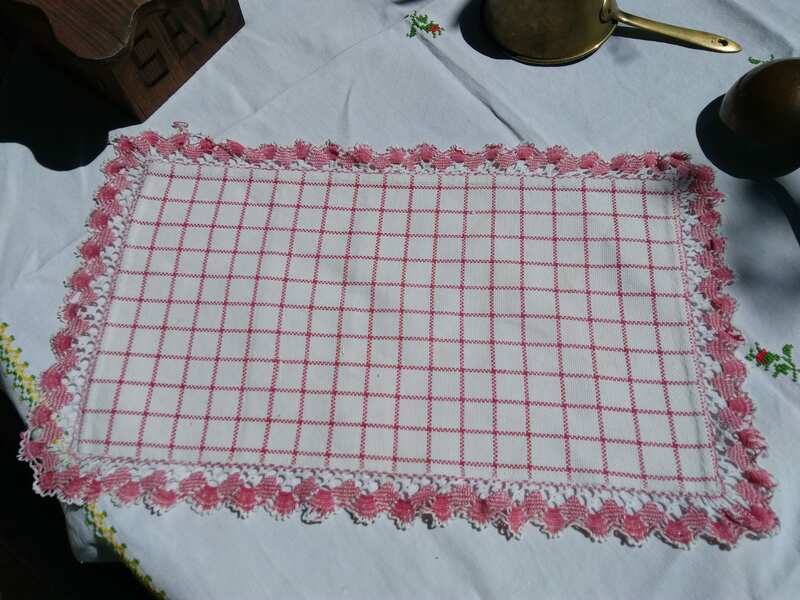 Red and white gingham with red and white lace trimmed . 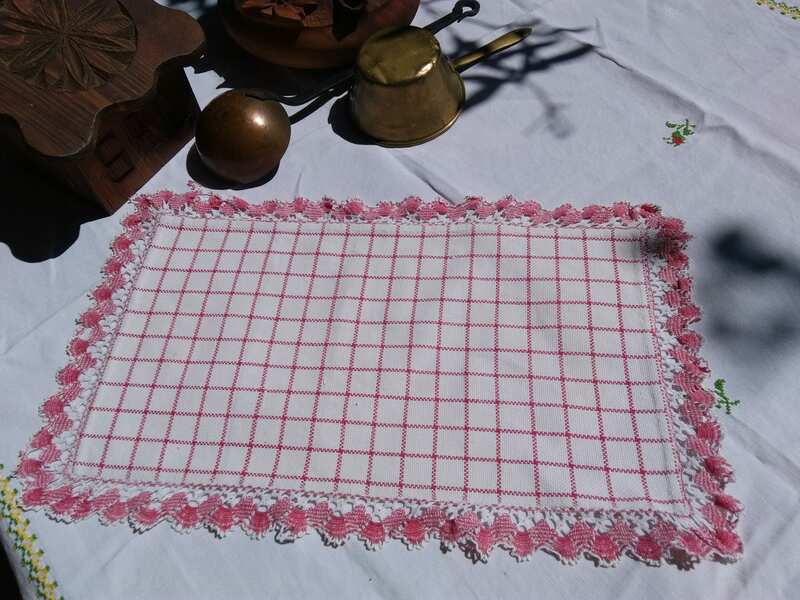 Lovely to use as a place mat, a towel to dry kitchen tools or to decorate a Table, a piece of furniture or for a sewing assemblage !